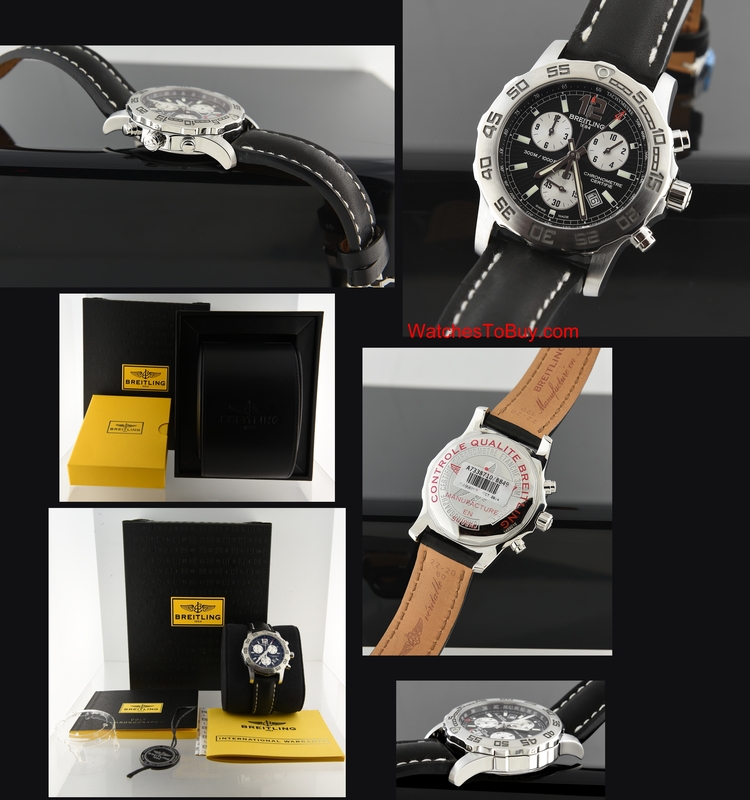 This BREITLING COLT chronograph A7338710/BB49 is essentially brand new and unused from 2014. With a new price of $3900, this watch is a bargain. We purchased this from a salesman who won it in a contest and never put it on his wrist. The 44mm. (13.5mm. 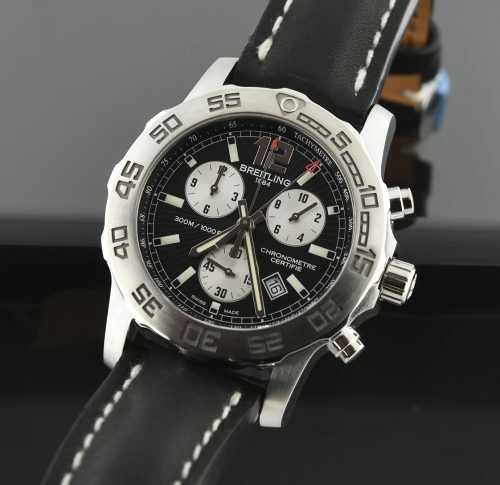 thick) steel case has a sapphire crystal and an attractive black dial having date and full chronograph features. The original leather BREITLING band and fold-over buckle is present. This watch comes complete with box and all papers as it was new. ONLY $2650.